Plain nonfat Greek yogurt is an excellent source of protein for a person on a diabetic diet. It is low in sugar and carbs, and it is considered a complete protein because it contains all 9 of the essential amino acids your body needs. Vegetarians know that a complete protein is one that contains all 9 amino acids. Nuts and beans do not contain all of the necessary amino acids. Eating a few fresh almonds or one Brazil nut at the same time as you eat the nonfat yogurt aids in its absorption into the body. A little healthy oil is good for the body, although it does add calories. Only one fresh Brazil nut a day, as they are high in selenium. You will exceed the recommended consumption amount of selenium if you eat more than one a day when your other food intake for the day is taken into consideration. If you consume a yogurt that has added fruit, then you might as well eat candy, as the calories and sugar content aren’t that far apart and you’ll have a tougher time controlling your blood sugar. A popular brand of plain nonfat Greek yogurt contains 90 calories, 0 fat, 7 grams carbs, 4 grams sugar and 15 grams of protein. This is a good mix that works with diabetes and yogurt. The lower the grams of sugar, the easier it’ll be to control your blood sugars. A typical fruit yogurt has 230 calories, 46 grams carbs and 26 grams of sugar. If you shop around, you can find yogurts that contain fruit with less sugar and less fat, but make sure you read that label carefully. One of the most marvelous new introductions to the food chain in the past several years has been this nonfat plain Greek yogurt. Velvety smooth in consistency, with a tangy flavor, plain Greek yogurt is a great bonus for the diabetic diet. It makes make a great snack, a good side dish for a meal, or a nice dessert. The yogurt that results from this straining and straining is usually called Greek yogurt. The more straining the milk undergoes, the thicker the resultant product, with a much higher concentration source of the milk protein casein. “Yogurt” is a Turkish word, although the first accounts of yogurt is that it was created by Central Asian people thousands of years ago when it was accidentally discovered that milk had curdled inside the containers that were used for transporting milk, usually the stomach of an animal. 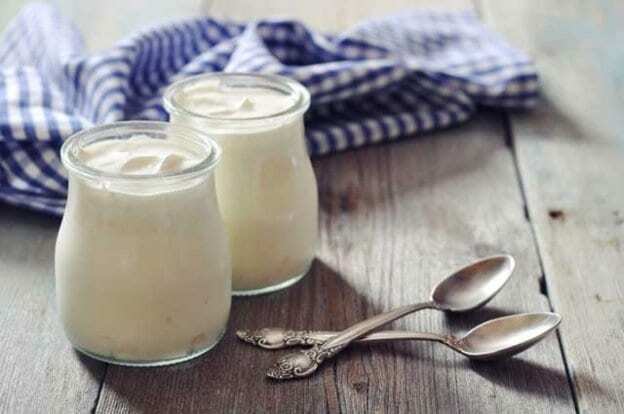 Over the years, many writings have mentioned yogurt and its various believed attributes – longevity, a cure for diarrhea – but it has been much used as a staple in the diet for centuries. Now, in the market, the healthy nonfat Greek yogurt is available for consumers are the corner market. This is but a few, and it would be best to take your time and stand in the grocery aisle and educate yourself on one yogurt versus another. You will immediately see the difference in the sugar content of the yogurts. Cut apple into small bite-sized pieces, throw in the broken walnut pieces and then stir in the nonfat Greek yogurt. If you want a sweet taste to it, just sprinkle on top your desired amount of artificial sweetener of your choice and blend in. Note: If you double the recipe, will can keep in fridge for as long as five days without the apples turning brown. This entry was posted in Nutrition on February 11, 2015 by admin.